By the mid 1930s, the Depression was supposedly over, but jobs were not easy to find. 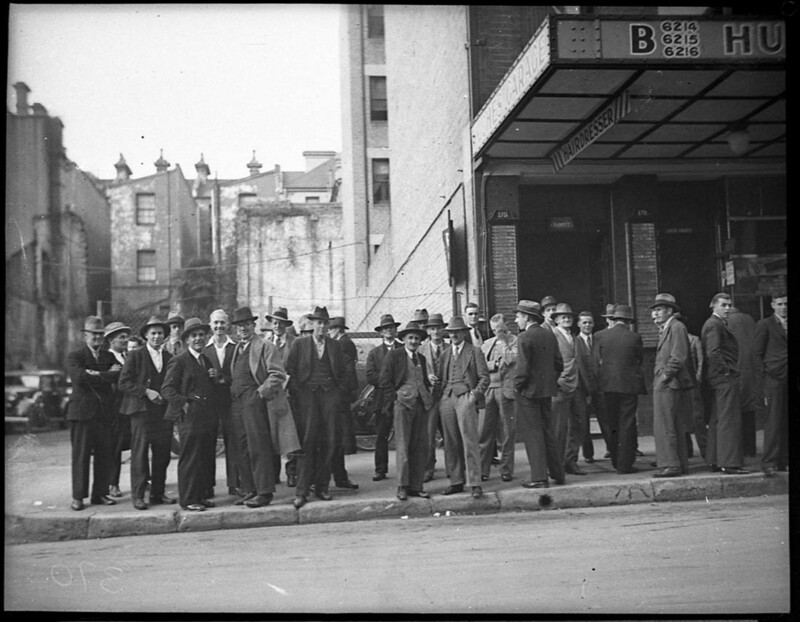 Here, some of the one hundred carpenters who applied for one job in Phillip Street, await to learn the outcome. There were still 85000 unemployed in the State, but only 27000 were on the dole, the other 58000 being employed as 'relief workers' by Councils. Paid more that the dole, 'relief workers' laboured under harsh conditions, building canals and roads.